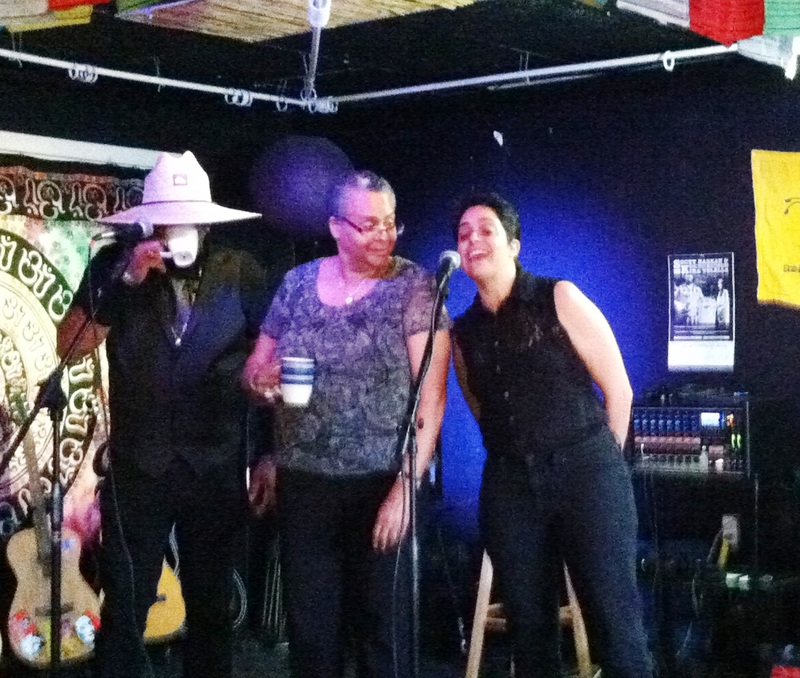 Veterans Open Mic night with co-hosts playwright Linda Parris-Bailey (center) and Andrea Assaf (right). Beyond the battlefield and the barracks, some of Florida’s 1.5 million veterans have had trouble transitioning to civilian life. Yet, there are signs that poetry, art, music and performance are helping veterans adjust. With Veterans’ Day approaching, we bring you their stories this week in a special edition of Florida Matters. These are highlights from the October 2014 <a href=”http://art2action.files.wordpress.com/2014/03/veterans-open-mic-flyer-2014-vfp.pdf”>Veterans Open Mic Night</a> at Tampa’s <a href=”http://www.sacredgroundstampa.com/”>Sacred Grounds Coffee House</a>. Military veterans meet there every first Sunday to share their talents and stories. 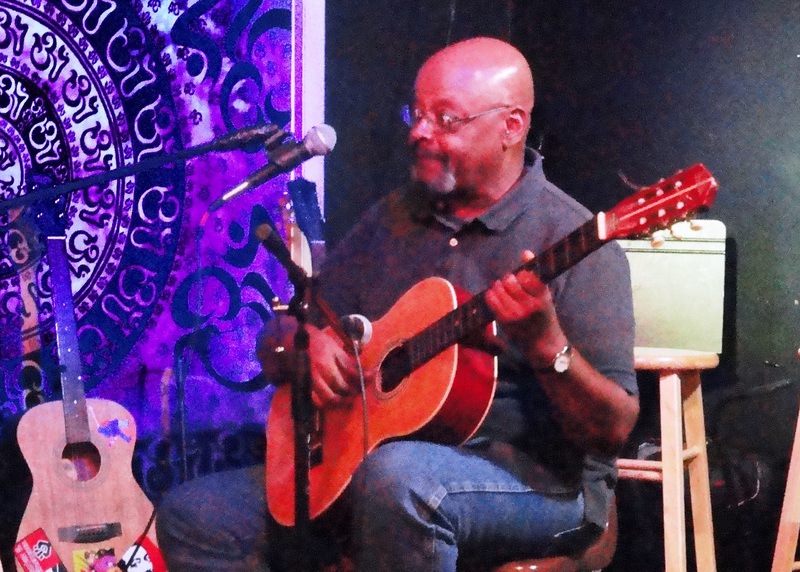 Cheldyn Donovan is a Vietnam Veteran who has experienced homelessness, PTSD, social phobia, but he finds playing the guitar eases his symptoms. The WUSF <em>Veterans Coming Home</em> project partnered with <a href=”http://art2action.org/veterans-in-tampa/”>Art-2-Action Tampa Veterans</a> to bring you this evening of poetry and music with military veterans. The emcees for the evening were Andrea Assaf, director of Art-2-Action, and guest playwright Linda Parris-Bailey who wrote the play, Speed Killed My Cousin, about returning veterans. The highlights feature veterans Charla Gautierre, Cheldyn Donovan and Marc Reid. Listen below to the Florida Matters 30-minute special show featuring the veterans as performers which aired Nov. 4 and Nov. 9, 2014.